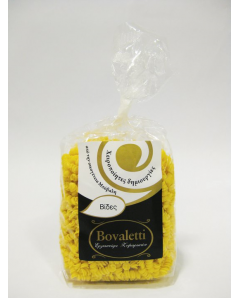 Bovaletti pasta are manufactured by top quality 100% strong wheat semolina, fresh eggs and goats milk. 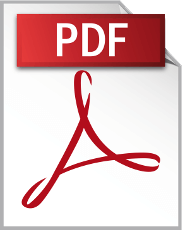 All ingedients are carefully chosen by producers with a long tradition in their field. Boil the fusilli in salted water for 13 minutes and drain them. Mix the olive oil with the lemon juice, the mustard, the salt, the pepper and put them in the fridge for 20 minutes. When it's cool, add the mayonnaise, the tuna, the olives, the capers and the anchovies. Mix again the dressing and put it on the fusilli. Serve it. Boil the fusilli in salted water for 13 minutes, drain and mix it with a table spoon of oil. Peel off and chop into dice the tomatoes and the feta cheese. Mix together the olive oil, the lemon juice, the salt and the pepper. Put the fusilli in a large bowl and add the tomatoes, the capers, the basil leaves and mix the with the dressing.